The shooting is believed to be the deadliest attack on Jewish people in America. The shooting at a synagogue in Pittsburgh prompted an immediate outpouring of widespread support online, from public figures of all political leanings -- both inside and beyond U.S. borders. 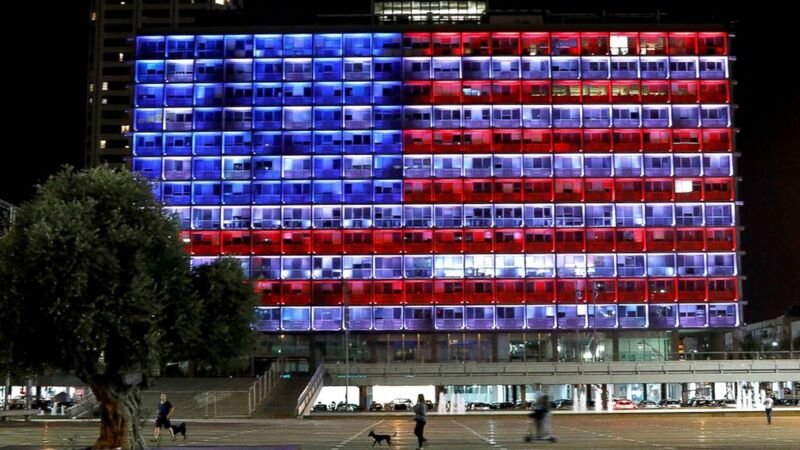 (Nir Elias/Reuters) People walk by as the municipality building in Tel Aviv, Israel, is lit in the colors of the American flag in solidarity with the victims of the Pittsburgh synagogue attack, Oct. 27, 2018. Canadian Prime Minister Justin Trudeau also weighed in online, saying in a Saturday tweet that "Canadians’ hearts are with the Jewish community in Pittsburgh today, as they endured a horrific anti-Semitic attack while at prayer. May the families of those murdered be comforted, and may the injured recover quickly and fully." An attack on the most sacred of places is the cruelest and most cowardly act a person can do. There is and will never be any tolerance for hate. 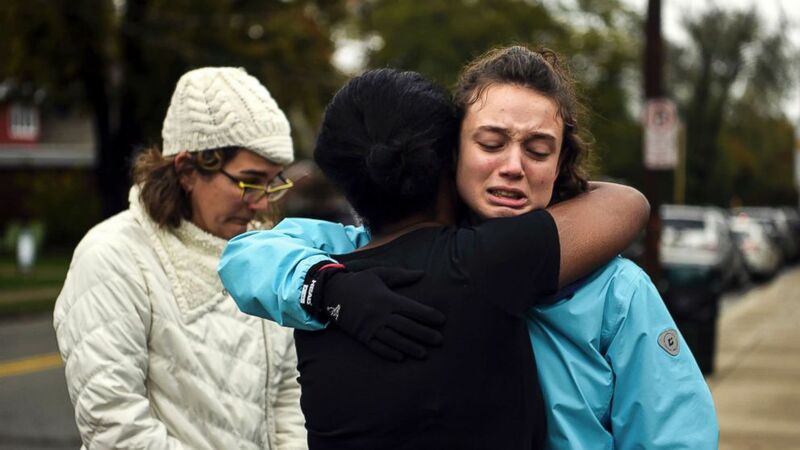 (Alexandra Wimley/Pittsburgh Post-Gazette via AP) From left, Kate Rothstein looks on as Tammy Hepps hugs Simone Rothstein, after multiple people were shot at The Tree of Life Congregation synagogue, Oct, 27, 2018, in Pittsburgh. My heart goes out to Pittsburgh, a city that is near and dear to me.